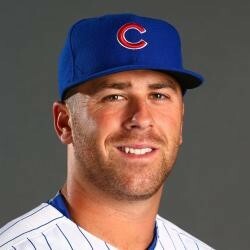 Mike Olt returned to New England, where he went to high school, signing a minor league contract with the Red Sox. He did not play in the major leagues in 2016 and only had 79 at-bats with the White Sox in 2015. Olt has a .580 OPS in 352 career at-bats. Olt had 58 home runs in 2011 and 2012, posting a .954 OPS between Double-A Frisco and the Dominican League in 2012. He was traded to the Cubs in the Matt Garza trade in 2013, but never made an impact with Chicago. The Red Sox will use him for minor league depth, but the 28-year-old could regain his power stroke.